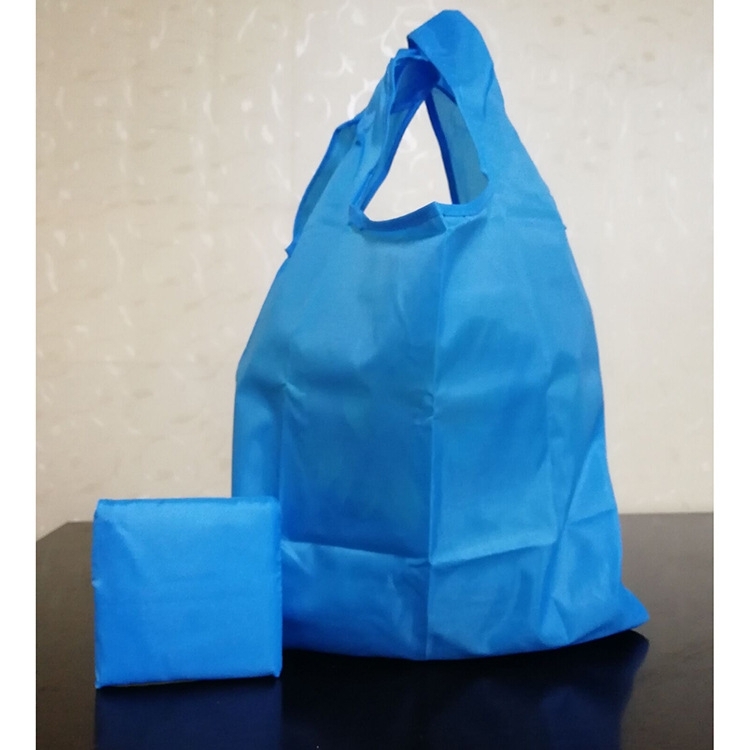 T shirt bag is made of polyester. It is convenient for shopping. Custom logo can be imprinted with all colors. Price includes 1 color 1 side 1 location.